My pet frog ended his own life...He Kermitted suicide. Do you know how the make seven an even number? Number jokes? How many times have I said it: Continue like that and you'll divide the group just trying to make it equal? I think number jokes really add to the thread, not subtract. I thought you were going to tell us he........croaked! It's a day early, I know, but this one is worth sharing with youse guys. Think it's windy and cold at your house? Look at this - the official weather statement and forecast for us. You might have to click to enlarge -- it's not easy to make screen shots big. 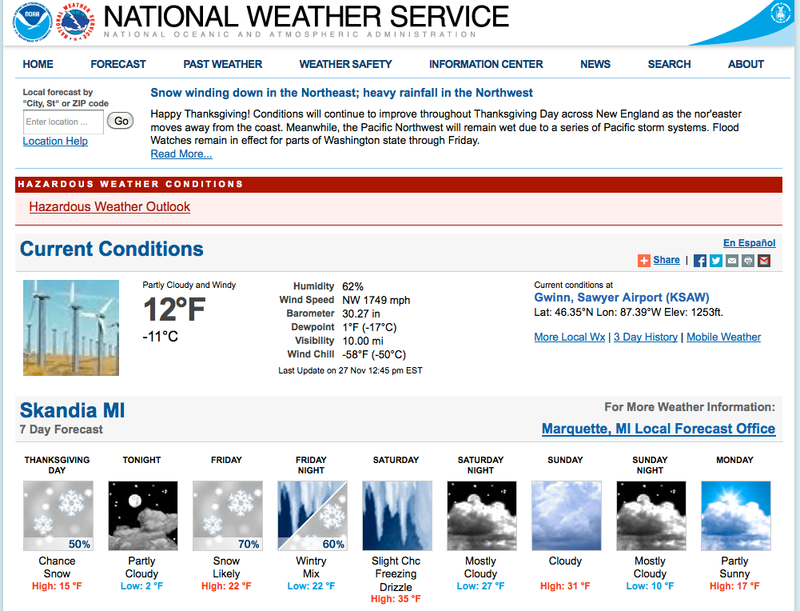 And once you can see -- please note the wind chill temperature and the wind speed. All right, Slim! Now's your chance. Get that ole pickup truck of yours headed in the right direction and Andy Green's record should be a lay down! 1749 MPH? that's a heck of a wind! Obviously the National Weather Service was hacked!!! Heck, just turn the car around, pull the chute and let nature take over! Although this is not the first time Slim's posted a questionable weather report from the UP's NOAA station at Sawyer Airport. At 1749, it should feel like -57. They need to move the wind speed recorder from the end of the airstrip where that jet takes off.